Metro Arquitetos Associados was established by Martin Corullon in Sao Paulo in 2000, since its foundation the studio has grown and now includes two other partners. 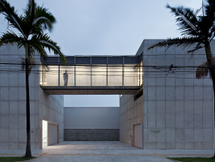 Metro Arquitetos work on projects of varying scale, from temporary installations to larger urban projects. Often taking a modernist architectural approach, the studio has frequently collaborated with Pritzker-winner, Paulo Mendes da Rocha. The studio develops and produces work with thorough research and technical execution. 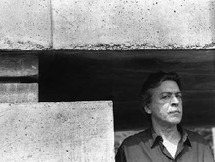 Before founding Metro Arquitetos Associados, Martin Corullon graduated from Faculdade de Arquitetura e Urbanismo da Universidade de S. Paulo and has been a collaborator to Paulo Mendes da Rocha. During 2008 and 2009, Corullon also collaborated with Foster + Partners. Anna Ferrari has worked with Metro Arquitetos since 2000 and was made a partner in 2005. In 2010-2012 she worked with Herzog & de Meuron in Basel. Gustavo Cedroni has worked with Metro Arquitetos since 2002 and was made a partner in 2006. He participated in the 2006 Venice Architecture Biennale with a video installation and lectures at various architecture schools.